Guadalupe Mountains is adjacent to, and just over the New Mexico border, from Carlsbad Caverns National Park. It is one of the lesser known and visited parks in the National Parks System. Even though it is adjacent to Carlsbad Caverns National Park, it gets less than half the visitors. 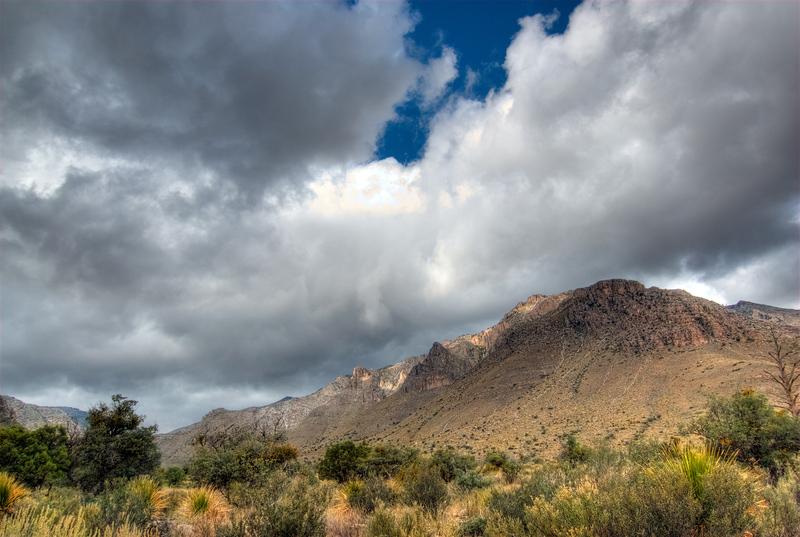 Guadalupe Mountains is the remains of an ancient reef which once was near the shore of an ancient sea. Carlsbad Caverns is also part of the ancient reef and the caves are a result of water dissolving the limestone. Mostly a wilderness area, Guadalupe Mountains aren’t going to attract the same type of visitors that go to other national parks. I’d highly recommend visiting if you are going to Carlsbad Caverns, as it is right there. Visiting the park as a destination by itself is something that few people will probably do. I think it would probably be a good idea to merge the parks into one single unit. The Guadalupe Peak serves as the highest point in this national park. It is also the highest point in Texas with an elevation of over 8,000 feet. The Guadalupe Mountains National Park experience hot summers, calm autumns, and cool to cold winters. During the summer, even the nights are cool here. The Guadalupe Mountains National Park consists of three major ecosystems. The first one is the desert consisting of salt flats and creosote desert. The second one is the canyon interiors, wherein you will find deciduous trees like oak and maple. Finally, Guadalupe Mountains National Park also feature alpine uplands. View the complete list of US and Canadian National Parks I have visited.